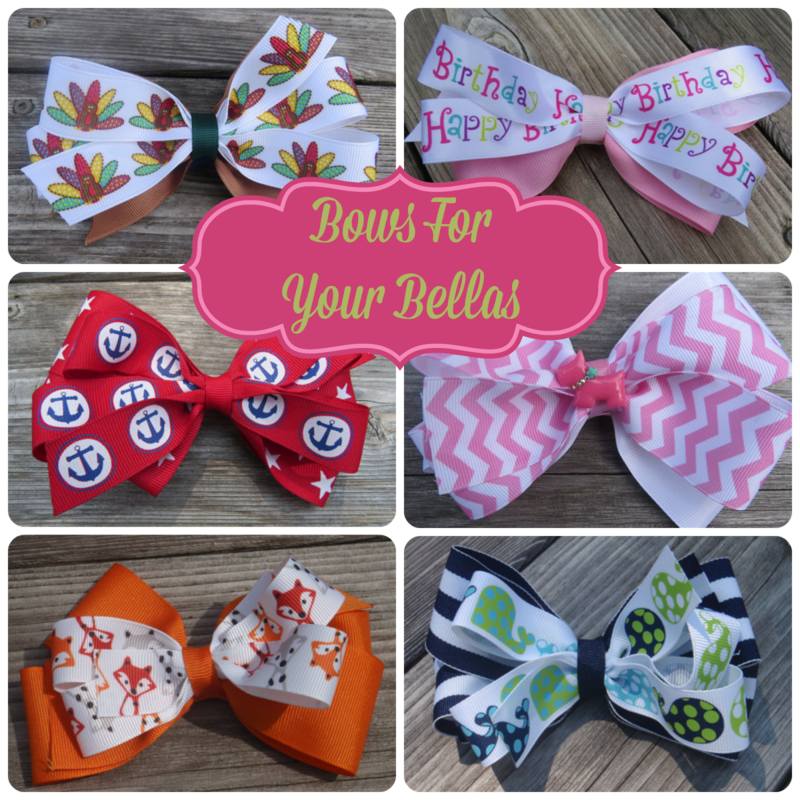 Bows For Your Bellas and a Giveaway! Lovelies, August is a special time here for the Lovely Sisters; not just because it's the month I met Eric, or the month that Weston was born...it's the month that Lovely was born! Back in 2009, Jenny and I sat down and decided to do a blog together, which focused on the lovelier sides of Long Island, especially lovely Long Island shops. I think this is why I feel so overly nostalgic and giddy about today's post and giveaway. Bows For Your Bellas is exactly the type of store we set out to feature when we began over five years ago. Founded by, and the creative hand behind Bows For Your Bellas, is Kerry, a local Long Island mama of five, who has quite the knack for creating the most adorable bows for girls' hair. I met up with Kerry recently, and I have to say, I was thoroughly impressed with her creations! They are exactly the classic bow which have become very much back in style these last few years. If I had a daughter, you best believe I would have a collection of Kerry's creations! Furthermore, Kerry is a total sweetheart and a devoted member of her community; stay tuned for breast cancer awareness bows coming soon. Bows For Your Bellas not only has a fantastic (and sometimes quirky!) assortment of bows to chose from, but Kerry adores doing custom work. She's created bows for school events, with school colors, cheerleading events, fundraisers, PTA events, and charity functions. Need a special bow for a family photo? Kerry is happy to help! She's also forward thinking (maybe it's that mom of five thing...) and will be selling holiday gift packs soon, so your little lady will never miss out on a photo opp with her new bow for Halloween, Thanksgiving, and Christmas/Hanukkah. Speaking of the holidays, wouldn't these make the cutest stocking stuffers? Great giveaway:) I'm always looking for cute accessories for my tot. I LOVE the Anchors away bow!! Love them all though! !